For your peace of mind, we are a fully bonded ATOL agent. Our ATOL number is 9324. All the flight-inclusive holidays shown on this website are financially protected by the ATOL scheme. When you pay you will be supplied with an ATOL Certificate. Please ask for it and check to ensure that everything you booked (flights, hotels and other services) is listed on it. Please see our booking conditions for further information or for more information about financial protection and the ATOL Certificate go to: www.atol.org.uk/ATOLCertificate"
We are also a member of ABTA (membership number: Y544X) and ALL our bookings which are not covered by our ATOL bond come under the protection of our ABTA membership. It also means you have the benefit of ABTA's assistance and Code of Conduct. Please ask us about the protection that applies to your booking. Experience Travel Group go beyond the legal requirement in offering 100% financial protection on all our holidays. Experience Travel Groupis a member of AITO, The Association of Independent Tour Operators. Established in 1976, the AITO symbol has become the hallmark of good holidays from specialist tour operators. 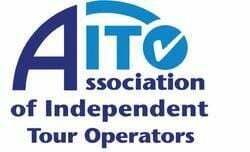 All AITO companies are fully bonded and governed by AITO's independent dispute settlement service, which means you are in safe hands when you book with an AITO member. All members acknowledge the importance of AITO's Responsible Tourism guidelines, which recognise the social, economic and environmental responsibilities of tour operating. Those demonstrating their achievements beyond the pure acceptance of this principle are recognised by the award of 2 or 3 star status. All our guides were excellent. I would especially mention Kea in Siem Reap, with his great sense of fun and in depth knowledge of the temple at Angkor Wat and the local area. All our guides took great care of us, which we really appreciated.